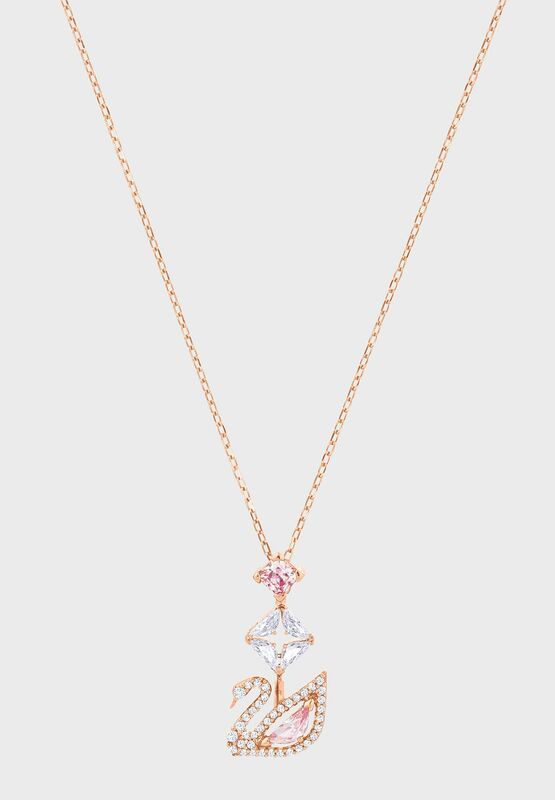 This spectacular pendant will bring a touch of cool romance to your everyday look. 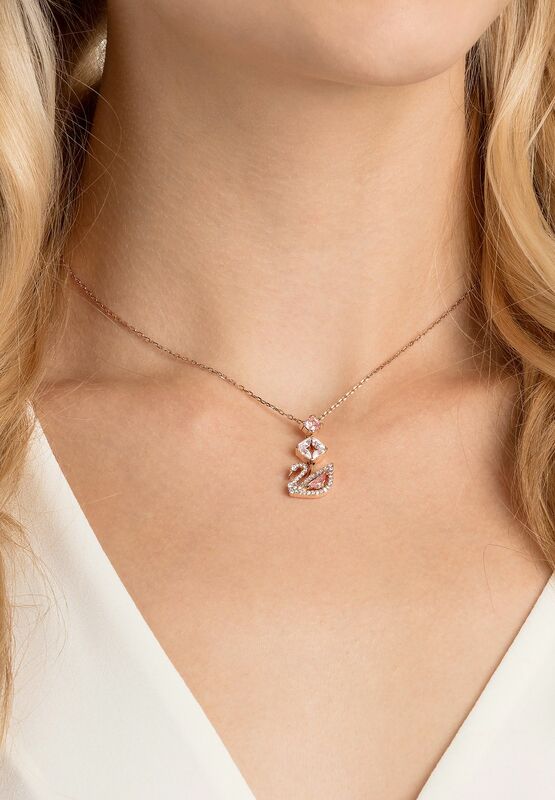 The rose gold-plated design is dominated by our iconic swan motif, which shines with a full-cut crystal body in cool millennial pink and crisp clear pave lines. The prong-set crystals that hang above brim with extra sparkle. 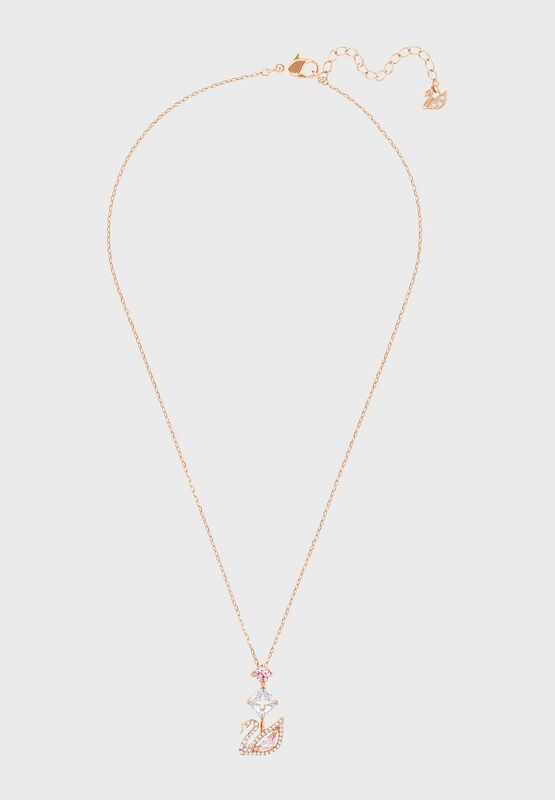 A gorgeous piece with a bold aesthetic, it will combine with your existing jewelry seamlessly. 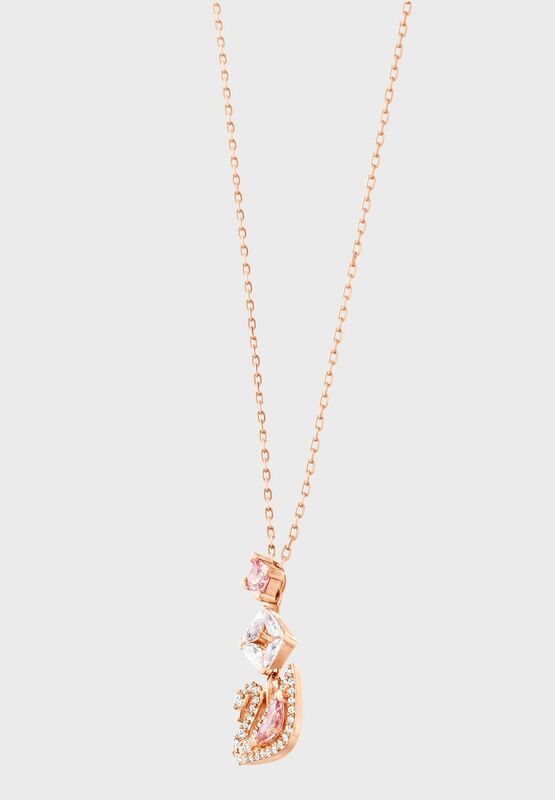 The pendant comes on a chain.